The world in 1962 proved turbulent, dangerous, filled with espionage, closed door politics and intrigue. The Cold War fought between the principle players the US and USSR; raged across the globe pulling smaller nations into their sphere of influence. The volatile year hosted an Atomic Bomb tested in outer space in July, the Cuban Missile crisis in October, John Glen orbited the Earth in February. Pilot Gary Powers, who secretly left a Pakistan air field and was shot down over the Soviet Union in 1960, was exchanged for Soviet spy Rudolf Abel in February. In March, Jacqueline Kennedy and her sister visited Pakistan. They attended the Ninth Annual Pakistani Horse and Cattle Show at Fortress Stadium in Lahore, Punjab. During her visit, Mrs. Kennedy was given a horse named Sardar. 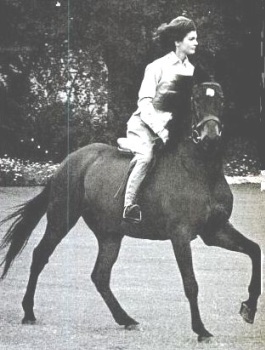 The horse, the descendent of champions, was breed in the famed Aga Khan stables. 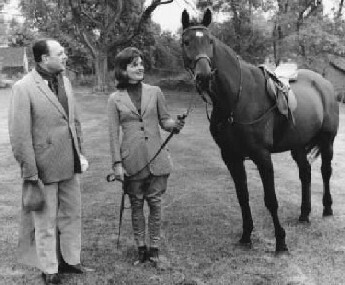 Jackie renamed the horse Black Jack after her father “Black” Jack Bouvier. A military transport brought Black Jack to his new home; a stable at Glen Ora an estate in Middleburg Virginia about an hour’s drive from the White House. Jackie, an equestrian since childhood, treasured riding her new horse in the quiet countryside. 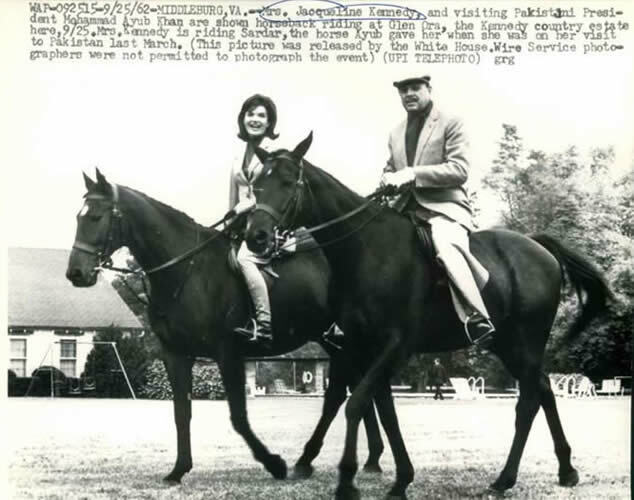 President Ayub Khan on a diplomatic visit to the US stayed at the estate with the Kennedys and was photographed riding with Jackie. By law, gifts from a foreign country to the President or a member of his family are accepted on behalf of the United States. Such a gift becomes the property of the nation and may not be kept as a personal gift. 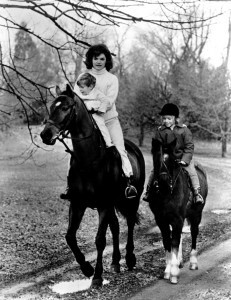 Jackie Kennedy received many gifts during her trip to Pakistan, gold necklaces, two tiger cubs and a horse. According to White House Press Secretary Pierre Salinger all the gifts were handed over to the State Department except one; Black Jack. Supposedly, an arrangement was made to allow the First Lady to keep the horse with the stipulation that she pay 7 ½ % of the horse’s value; a type of tax. Events on November 22, 1963 turned Jackie’s world upside down. That Friday her husband, President Kennedy, died; brutally assassinated by a sniper in Dallas, Texas. The President’s body was placed in the East Room of the White House for 24 hours. Sunday his flag-draped coffin, carried by a horse-drawn caisson, traveled to the Rotunda of the US Capitol. More than a quarter of a million mourners paid their respects to the fallen President. On Monday, November 25th after Requiem Mass at St. Matthew’s Cathedral, the body was taken to Arlington National Cemetery for burial. 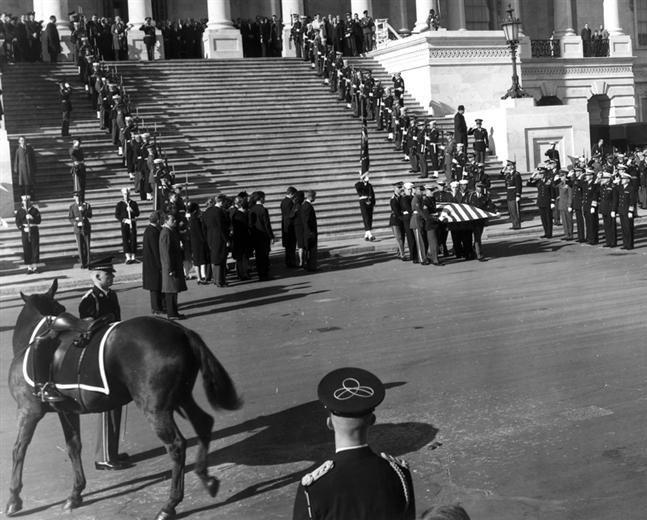 The military officials in charge of the funeral followed strict protocol; however, Jackie, if a precedent could be found for her request, was allowed to orchestrate the funeral by adding her own personal touch. 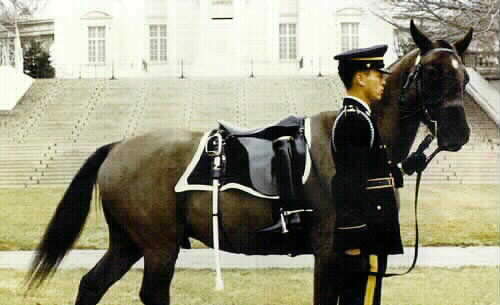 In 1865, Abraham Lincoln had a caparisoned horse at his funeral. His horse, Old Bob, rider-less with riding boots lodged backwards in the stirrups, draped in black, was led behind the procession. 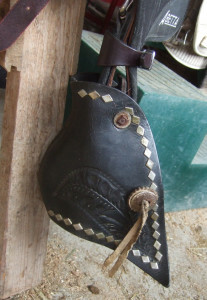 In the same manner, Jackie may have requested her horse Black Jack be used as the caparisoned horse. After all the horse, a gift from Pakistan to the US, had become part of the Kennedy family. Here is where my research into this story goes wonky. 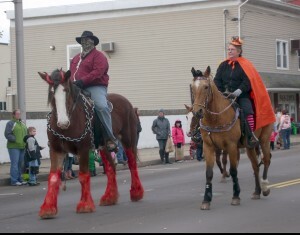 On Sunday, November 24 a member of the Associated Press called Jackie’s press secretary, Pamela Turnure, to confirm that the horse in the procession to the Capital was Jackie’s horse. 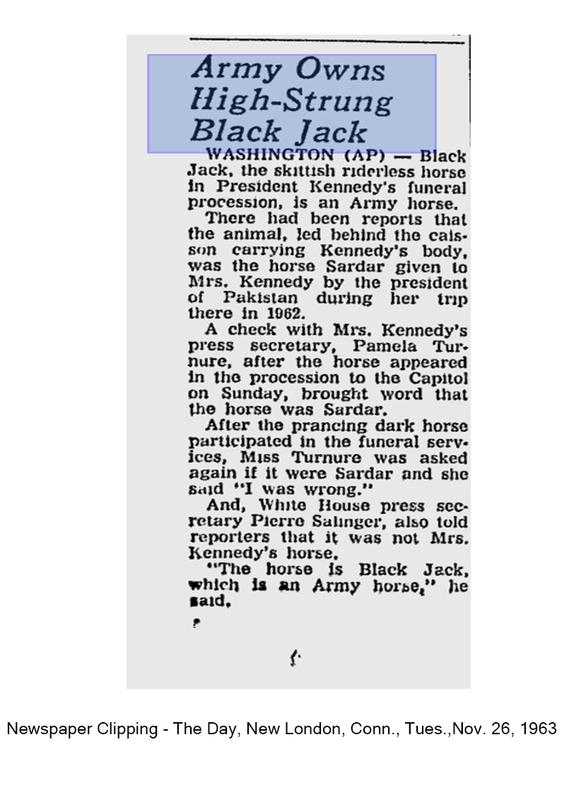 Turnure replied yes, the horse was Mrs. Kennedy’s Black Jack. However, the next day, the day of the burial, Ms. Turnure recanted and said “I was wrong.” Pierre Salinger also stated to the press that the horse, Black Jack, belonged to the Army. Now here is where everything gets very odd. On November 27, Jackie contacted the Secretary of the Army, Cyrus Vance, and stated that she wanted to buy Black Jack the caparisoned horse. It’s unclear what she was told but obviously the answer was no. 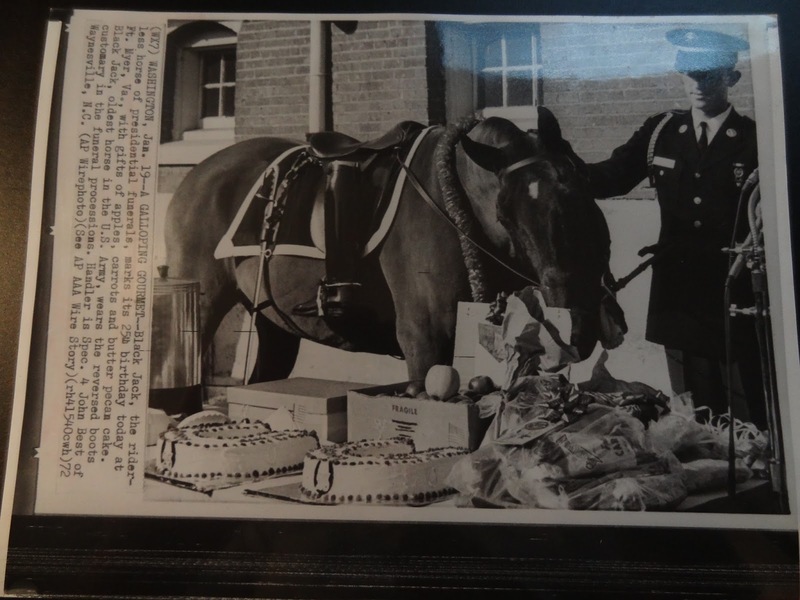 Shortly after her request, Black Jack’s caparison, which included his saddle, bridle, saddle blanket, sword, boots and spurs were delivered to Jackie at the White House. All of this happened two days after her husband’s funeral in the midst of packing, taking care of her children and organizing her possessions in order to leave the White House within two weeks. If the horse wasn’t Jackie’s Black Jack why did she want to purchase the animal? 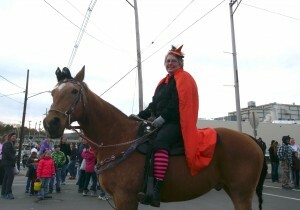 A horse she had only seen for a few hours during the funeral procession. So now I’m left with more questions than answers. Was there a legal issue to ownership or a question of national security? In any case here is where the “Sardar – Black Jack” story ends. I couldn’t find any other reference to the horse or what happened to the beautiful creature. It is as if the animal just disappeared into thin air. My father always said, “There are two sides to every story.” The other side of this story is the tale of “Black Jack the Army Caparisoned Horse” which will be my next blog. Until then, Happy trails to all of my readers. Winter has been weird. So many days in January, February and March dipped into the teens with negative numbers at night. Why so much strange weather? Was it Global Warming or just bizarre weather? Weathermen started throwing around the term “Polar Vortex” to add to the abnormality created by the extremely cold temperatures. 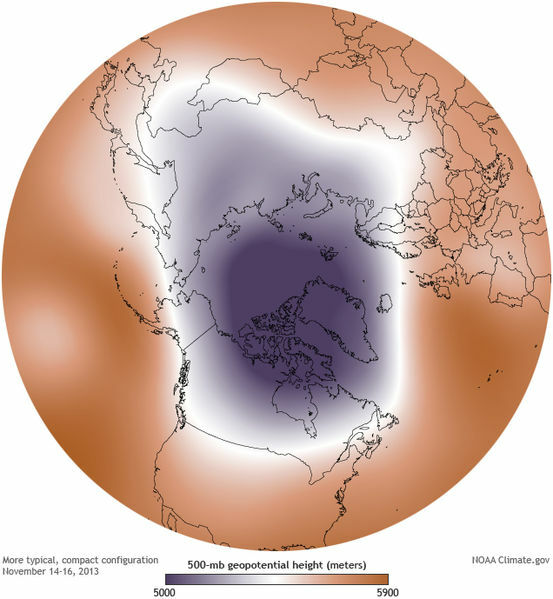 What exactly was the Polar Vortex and why did it keep happening? 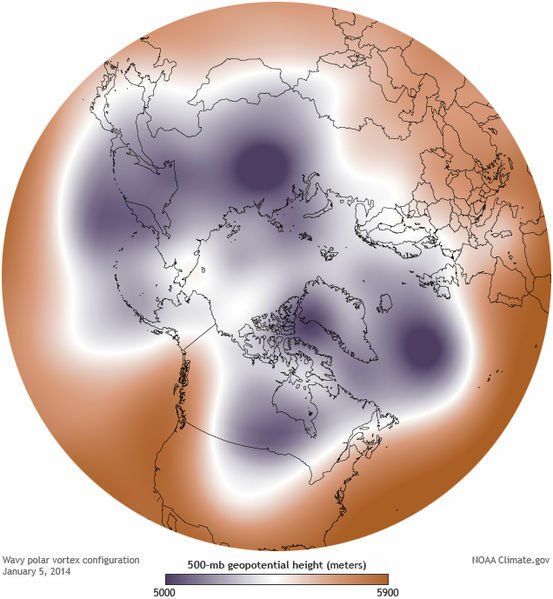 The Northern and Southern hemispheres have huge cyclones which swirl in a circular pattern around the poles. These cyclones are permanently a part of the poles and are called the Polar Vortex. 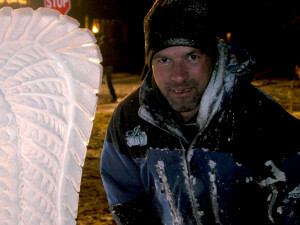 The Polar Jet Stream forms a border around each vortex. 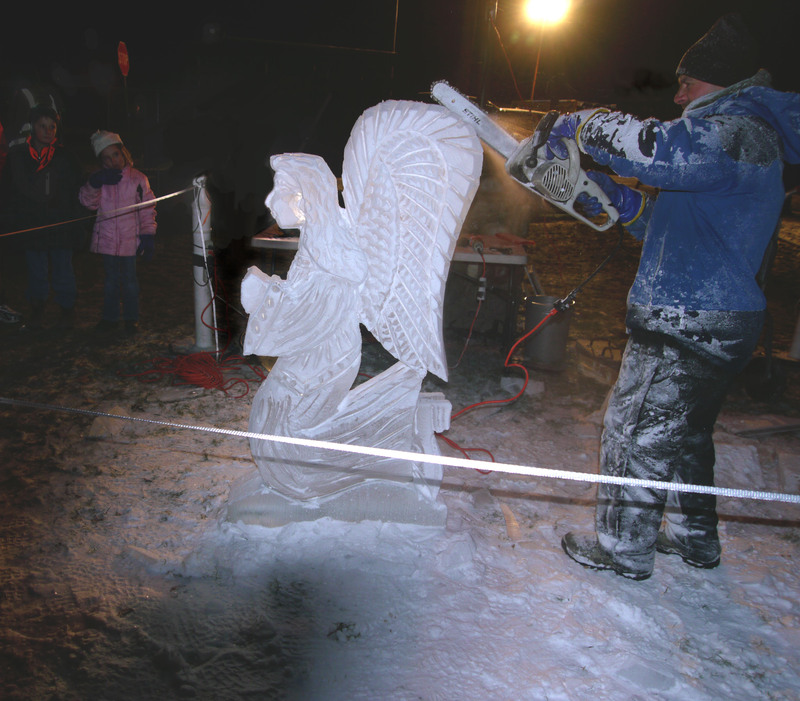 If the jet stream weakens frigid Arctic air flows south allowing a southern excursion of the vortex. This was what kept happening in the winter of 2014; over and over again. Although I enjoy riding in winter, the temperature and wind-chill made it impossible. 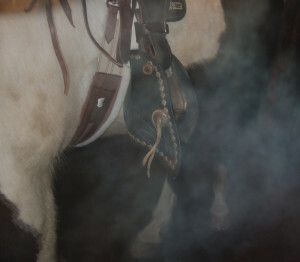 It wasn’t until early March that I finally got back to the stables. Everything was as I last saw it. 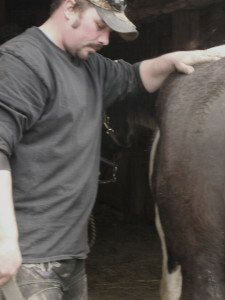 Johnn was busy cleaning stalls and the horses were in the pasture. 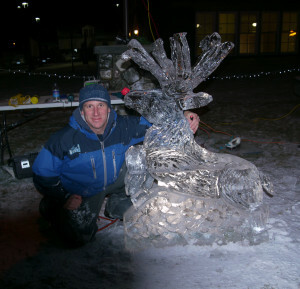 It seemed like a heat wave, the temperature actually hit 40 degrees. I expected to see people out and about, but Johnn said the overcast skies probably kept people inside. I saddled CJ and headed up Oakfield road. I expected to hear animals moving through the woods but it was stone silent. Snow still blanketed the fields and the ground was frozen solid. CJ and I circled back toward the barn picking up Murry Creek Road. 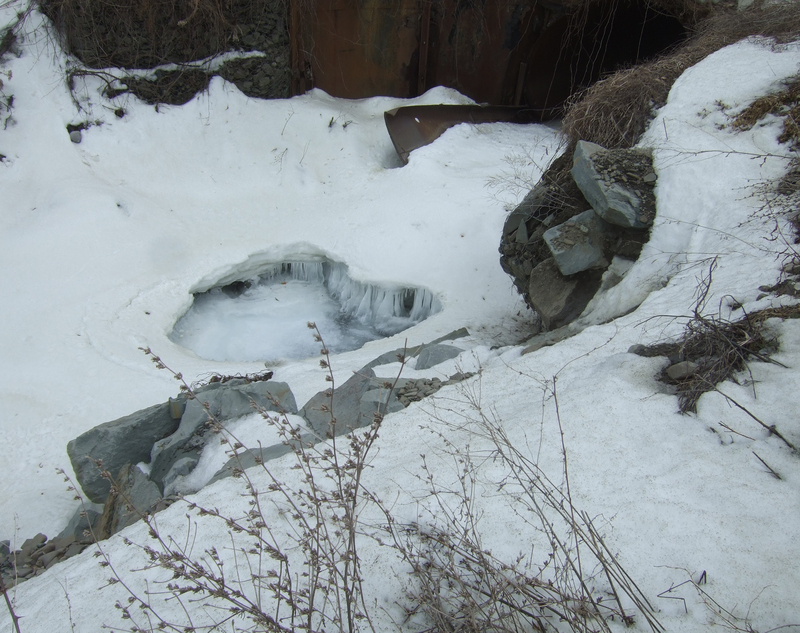 The trees showed no signs of an early spring, and Murray creek was frozen solid. 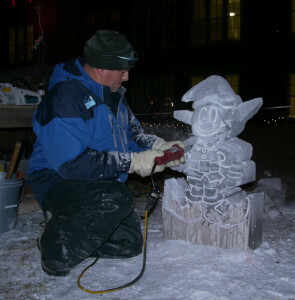 Within a few days, the frigid weather was back again. Now it is the first week in April and it feels like spring, even though a couple of days ago winter still clung to the thermometer. Everyone is hoping that winter is over, but it’s not unusual to get an April snowstorm; only time will tell. A few months ago in September, when the weather was warmer, the leaves a golden yellow and the grass still green, I found myself back at Windy Ridge Stables. Barb Barnes was expecting me. She stood in the indoor arena instructing a woman on the art of Western equitation. As I walked into the waiting area just outside the arena, I anticipated my first lesson on how to drive a cart. “Fiona’s in her stall. Grab a brush and cleaner her up. 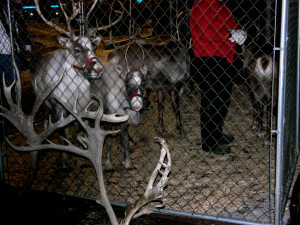 I’ll be with you soon,” Barb said turning back to her student. 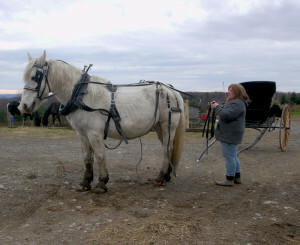 Fiona, a white Percheron, stood 17 hands at the withers. I slide the stall door open as the horse turned her head and gave me an inquisitive look. Conveniently, a brush box doubled as a stepstool which I climbed onto giving me the height I needed to brush dirt off Fiona’s back and neck. Before long, Barb showed me how to put the draft harness on Fiona. We took the horse outside for some ground work. I walked behind Fiona and with Barb’s help drove the horse up and down the gravel road next to the barn. Barb loaned me a couple of books on driving a cart: “Work Horse Handbook” by Lynn R. Miller and “Breaking & Training the Driving Horse” by Doris Ganton. I took the books home and flipped through the pages until I came to a section in Doris Ganton’s book explaining an accident she had when driving her cart. It seems she was out late one night and lost sight of the edge of the road. Her cart’s wheel slipped into a ditch ending up with her cart flipping over. Luckily, she managed to save herself and her horse, but as I read I suddenly realized that there was a downside to carts and carriages. 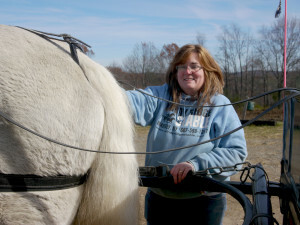 After a few lessons, I gained some experience on driving the cart and harnessing Fiona, not an easy task given the size differential between me and the horse. 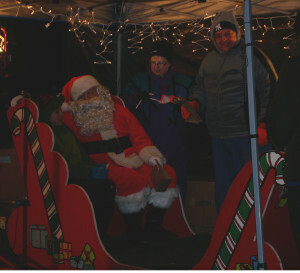 One brisk November morning, Barb and I climbed into the cart. 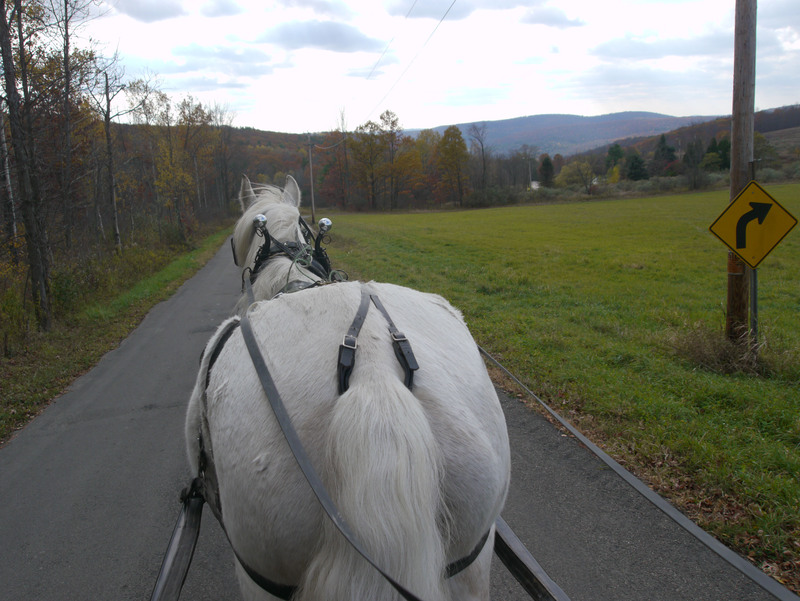 I drove Fiona away from the barn and out onto the open road. 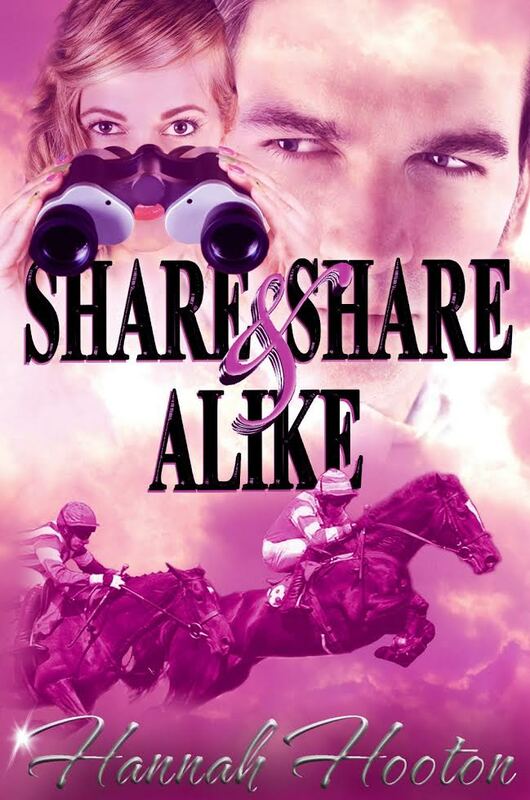 The wheels clicked as the horse’s hooves tapped out a rhythm on the asphalt. I tried to remember to keep track of the cart’s front wheel and the side of the road. The countryside opened up before us as we traveled along the road occasionally increasing speed to a trot. After a few miles, Barb told me to turn around. I turned the horse back towards the barn, and immediately, like many horses, Fiona picked up the pace and trotted up the hill. “Just don’t let her break into a canter,” warned Barb. At the top of the hill we saw a pothole repair truck coming towards us. The huge truck had a large hose attached just above the front bumper; coiled like some strange gigantic serpent. The driver saw us and slowed down but didn’t stop; not a good sign. “Is Fiona OK with big trucks?” I asked. “I guess we’re going to find out,” answered Barb. Fiona’s pace slowed as the horse stopped, lifted her head and looked at the truck slowly approaching us. Before the vehicle could pass by, Fiona decided she didn’t want to have anything to do with the truck. 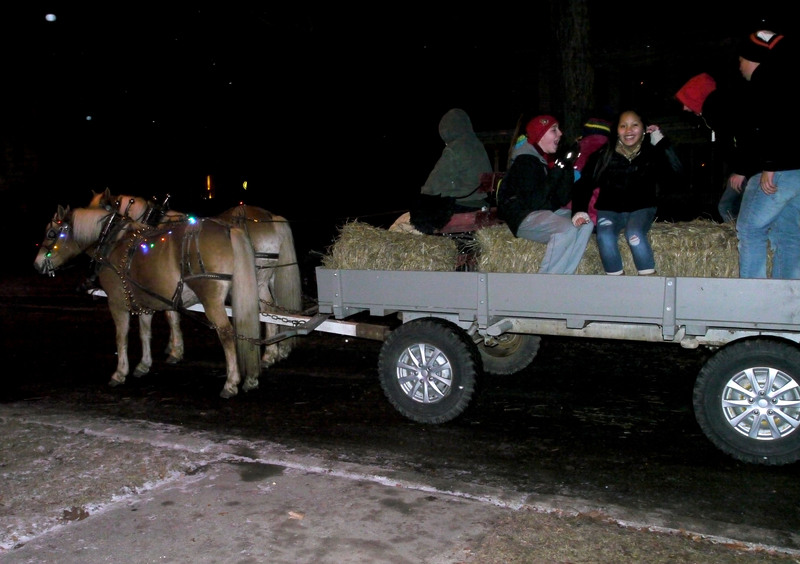 Quickly, the horse spun around, turned the cart in the opposite direction and made a hasty retreat. At that point the driver stopped the truck and Barb took the reins. 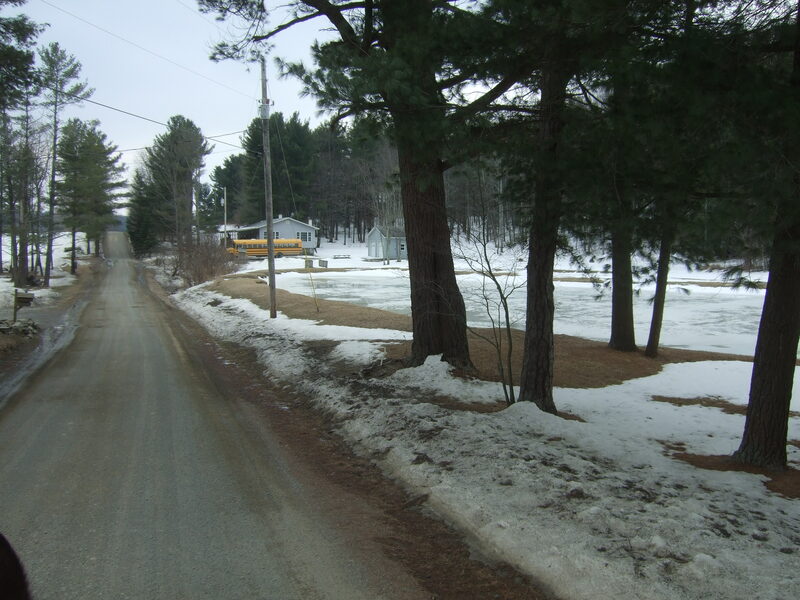 She skillfully maneuvered Fiona down a steep driveway away from the road and the odd vehicle. 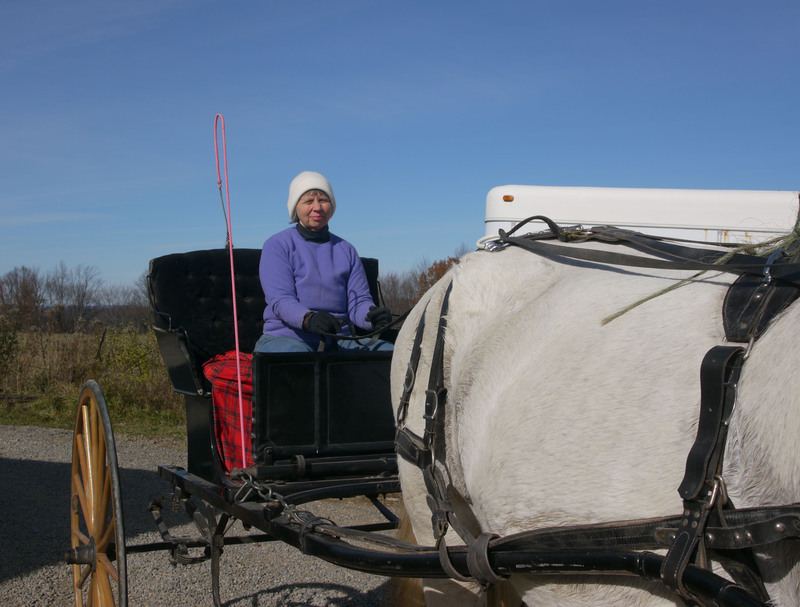 Before long we heard the truck rumble past us, then Barb turned the horse around and we headed back onto the road. “That was exciting,” I said. Time passed and the weather changed. 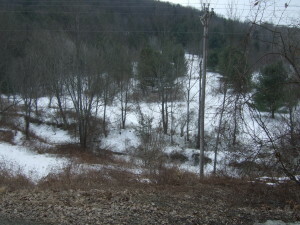 Winter brought snow storms which blanketed the countryside and made travel difficult. 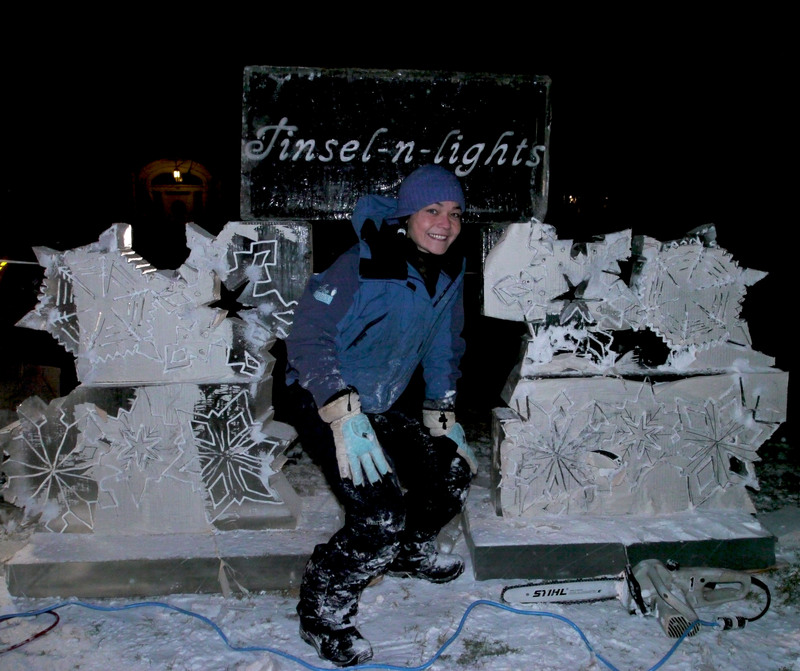 Then a polar vortex streamed across the Northeast plummeting temperatures into the minus digits. My lessons on driving the cart were cancelled until better weather and I found myself inside keeping warm. 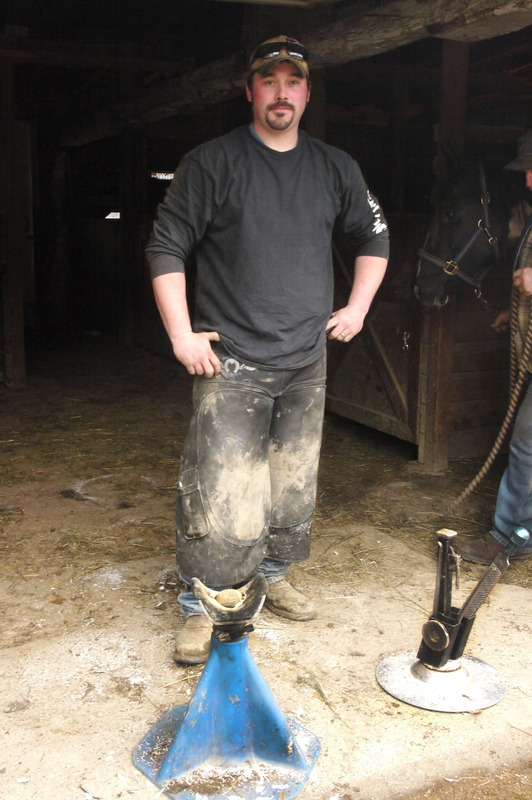 Even riding CJ or Pepper proved difficult, except for trips to the barn at Horse Heaven to brush down the pair. Currently, the weather report is not encouraging; another polar vortex for next week. This weather can’t last forever, and when things thaw out, I’ll be back to Windy Ridge for another lesson on driving a cart. Until then, stay warm. 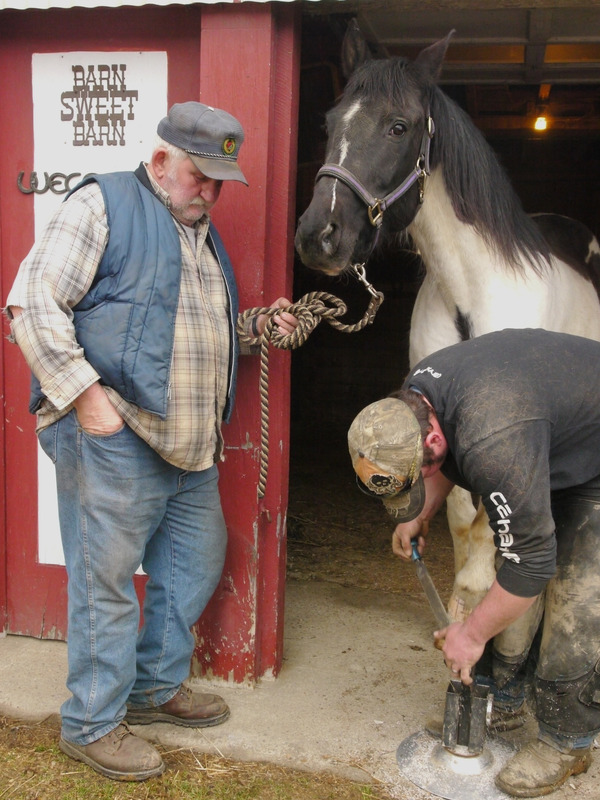 Memorial Trail Ride for Kenneth W. Bellis, Jr.
Kenneth W. Bellis, Jr. held several different jobs during his lifetime, but for those who own horses he’ll always be remember as a farrier and a horseman. Born December 30, 1954 in Sayre, PA, he graduated from Tioga Central School in Nichols, NY. 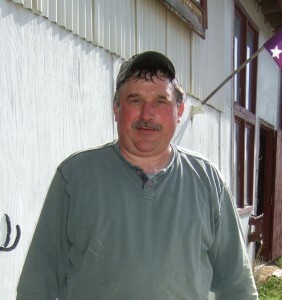 He was a member of the Twin Tiers Riding Club and the Tioga County Saddle Club. For a time, he worked in Rodeos as a pick-up man and enjoyed team penning. He worked as a farrier for 20 years and traveled as far as Tennessee to shoe horses. He enjoyed attending the Quarter Horse Congress in Columbus, Ohio. Kenny passed away suddenly, without warning on July 16, 2013. 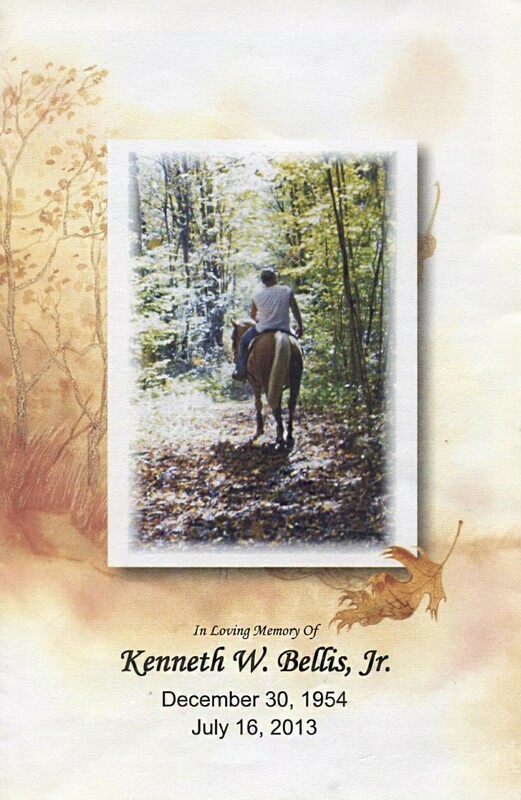 Funeral services were held July 22, 2013 at Buckheit Funeral Chapel and Crematory in Mansfield, PA. After Kenny’s death, his son, Kenny “Buddy” Bellis, and daughter-in-law, Dawn, planned and organized a memorial trail ride in honor of they’re father. The ride took place on a hazy morning; October 27, 2013. 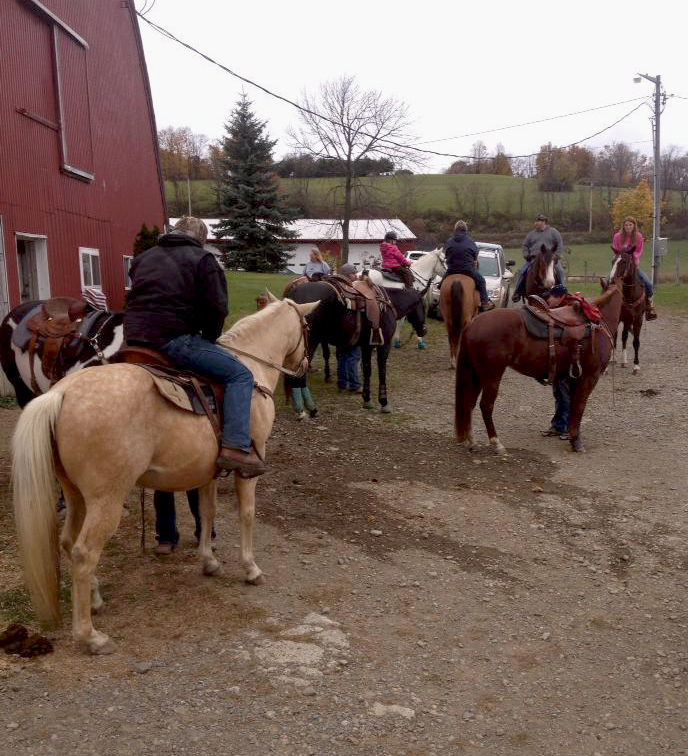 Twenty-three riders gathered with their horses at Rising Hope Farm, had breakfast and then headed out on the trail for a couple of hours in honor of Kenneth W. Bellis, Jr. The riders followed a wooded trail under a sky that looked like rain but only a few drops fell. Kenny will be missed and always remembered by friends and family. A cowboy’s dream come true! Me, my horse, and You. 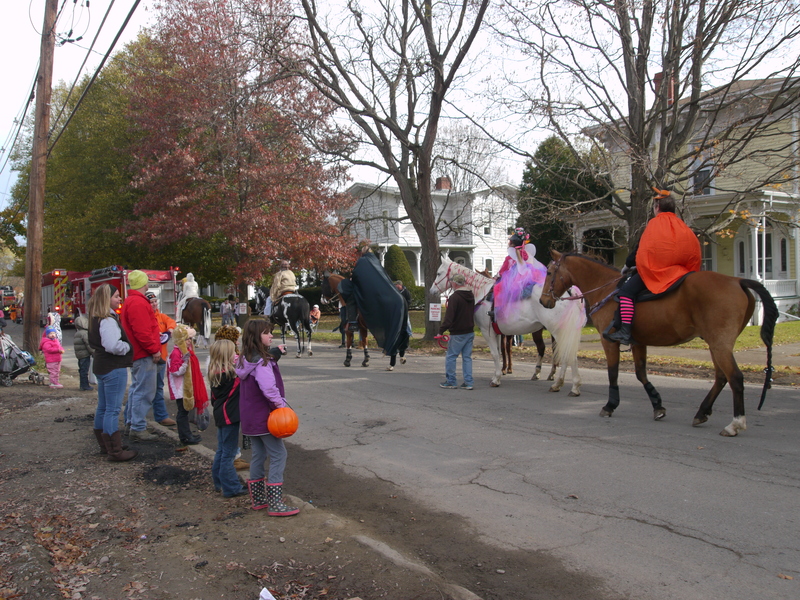 Every year one of the three Valley municipalities, Athens, Sayre or Waverly, host a Halloween Parade. 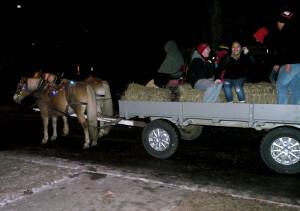 This year it was Waverly’s turn to have the parade. Friends and neighbors left the warmth of their homes to stand out in the cold for about an hour on Saturday morning. They watched marching bands, floats filled with people dressed in ghoulish costumes, local fire and rescue vehicles, and last but not least costumed horses and riders. A morning haze hid the sun and created a chill which required a jacket. 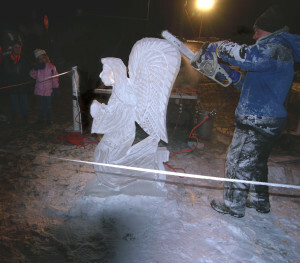 There was excitement in the air which can only be created by a large crowd. I hurried towards Broad Street and knew I was late. The sound of the trumpets, French horns and drums of several marching bands floated on the wind towards me. 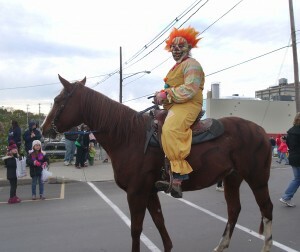 When I reached Muldoon Park, to my surprise, I saw the parade. 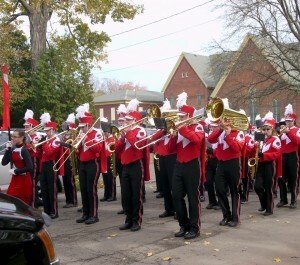 The Waverly Senior Band turned the corner at Park and Pennsylvania Avenue and headed straight towards me. What luck! I walked across the park and watched the parade slowly unfold before my eyes, but there wasn’t a horse in sight. I came to see the horses and knew from my own days of riding in parades that the horses would be at the end. After all, nobody wants to step in horse poop or risk getting kicked. 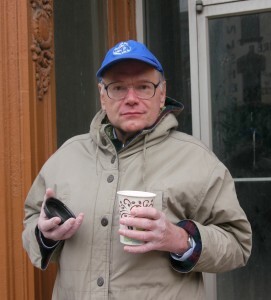 I walked down Pennsylvania Avenue, turned the corner at Broad Street and headed towards Ted Clarks Busy Market. 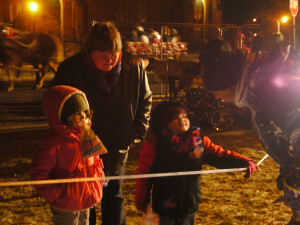 Parents and kids hugged the curb as they watched the parade flow by. 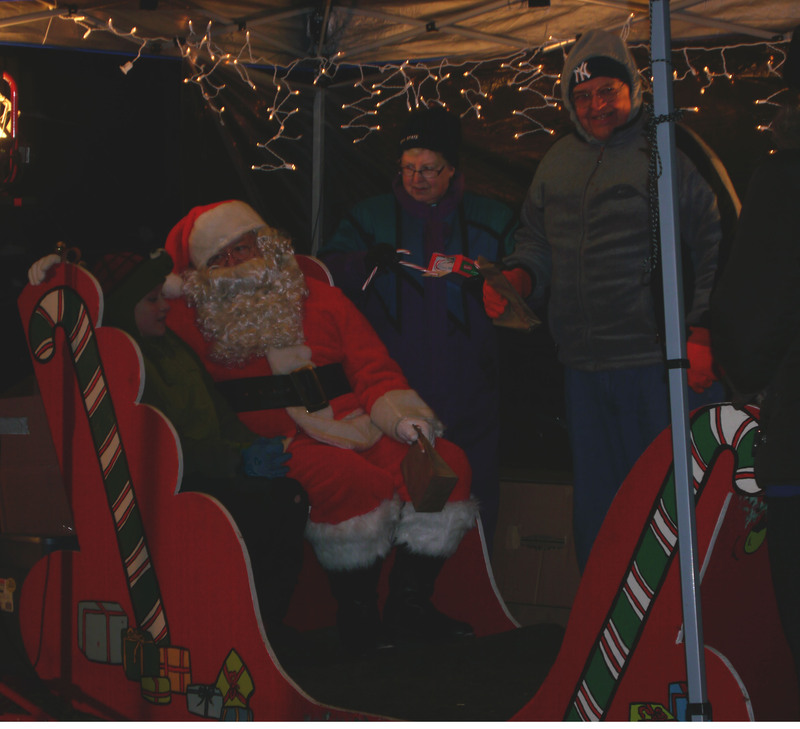 The people on floats and in fire engines threw wrapped candy to the crowd lining the street. Kids scurried to pick up the tossed candy and stuffed the treats into their bags. 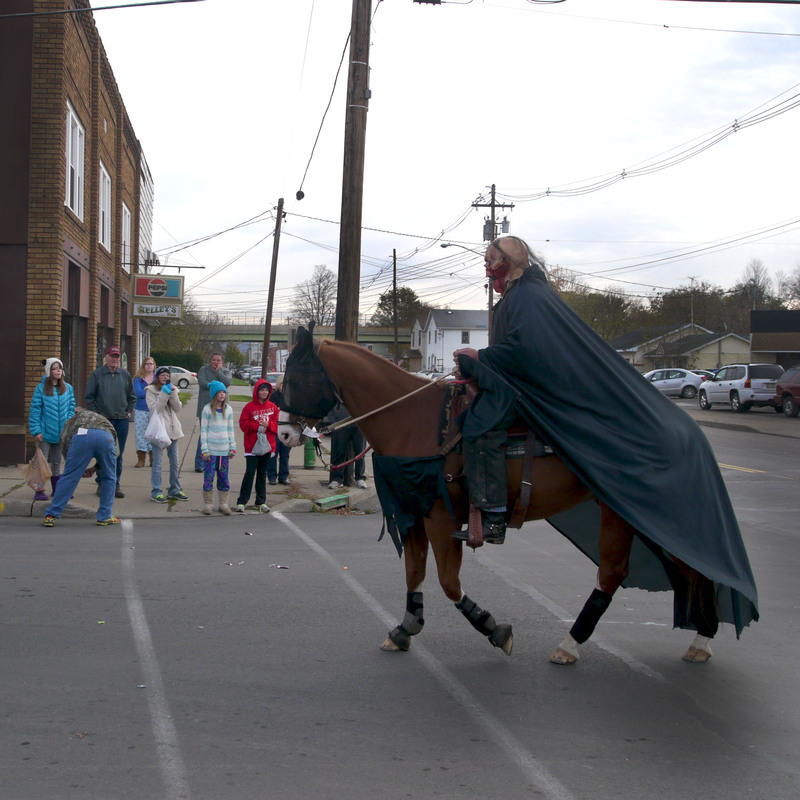 As I drew near the center of town, the end of the parade came into view and a group of horseback riders. 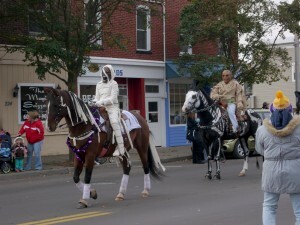 I walked closer, took a few pictures and realized the riders were from Rising Hope Farm. I heard a friendly voice say “Pat”. 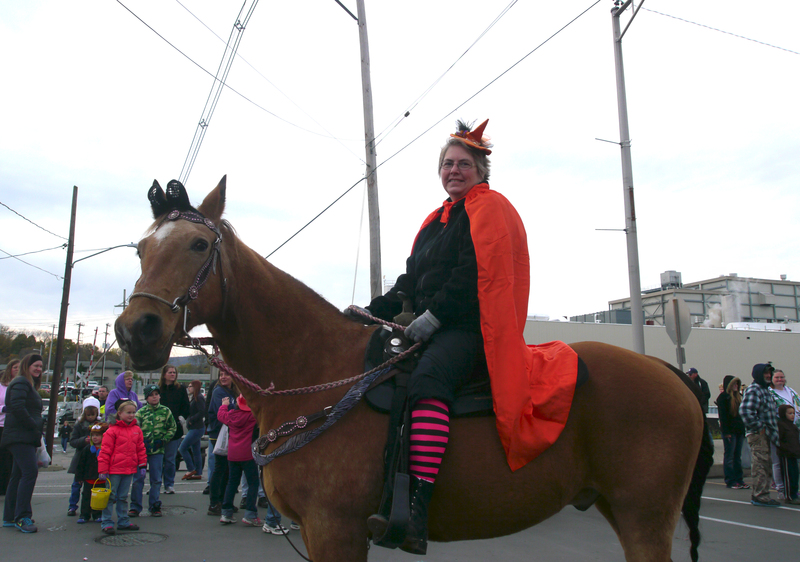 I looked up and saw Lou Anne Miller on her horse Wildfire, old friends, from my days at Windy Ridge Stables. 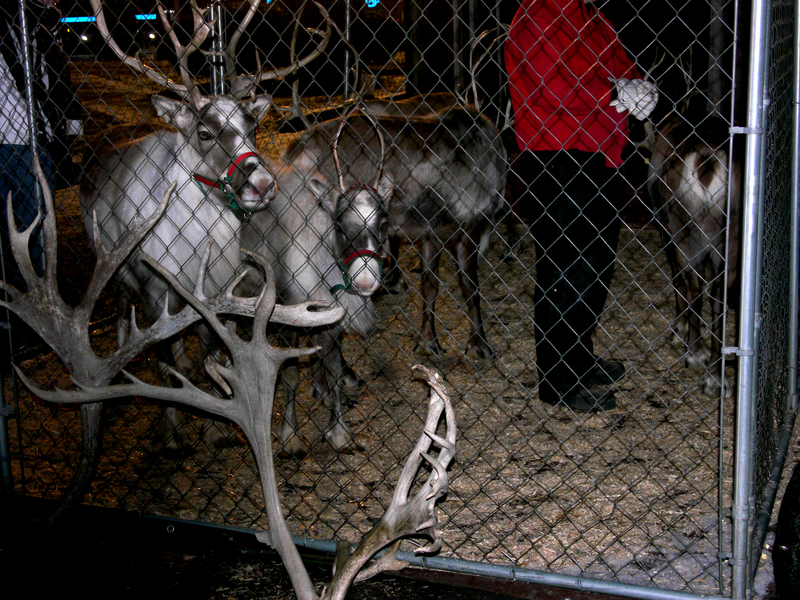 I followed the riders back towards Muldoon Park where I had started. On my way, I bumped into my neighbor, Bill, who was enjoying a coffee and the parade. 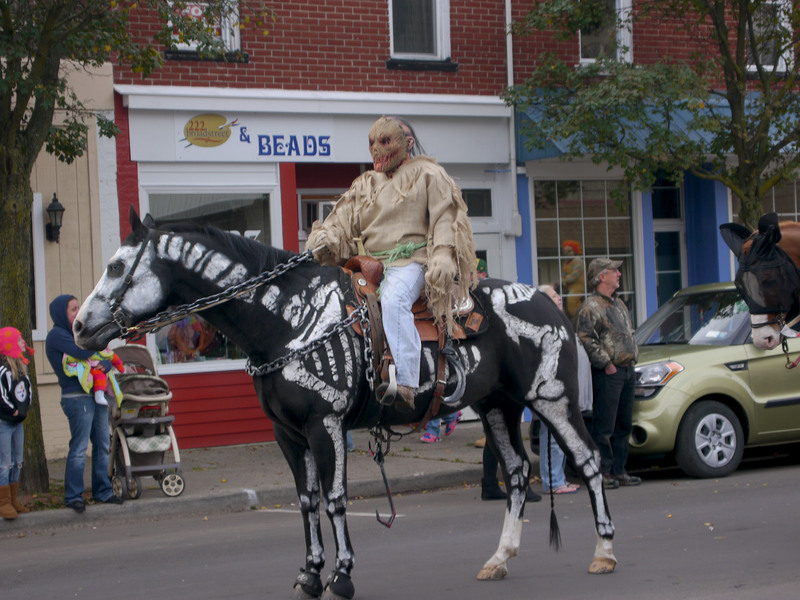 Perhaps, that is what parades in small towns are all about. They give people a chance to come together, chat; enjoy a common event while reconnecting with community. 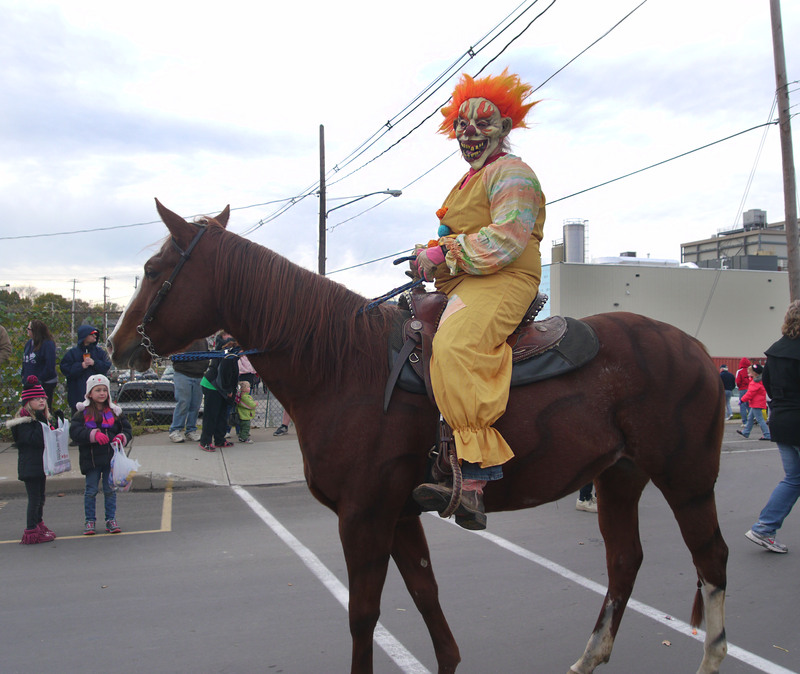 I hurried on to catch up with the riders and by the time the horses reached Muldoon Park, I had come full circle. 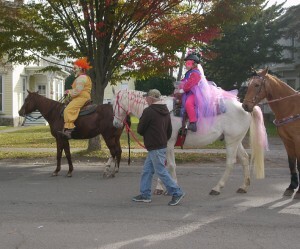 Lou Anne and the other riders headed for their horse trailers and the drive back home. Various elements of the parade diverged as the on-lookers went their separate ways. The electric sensation the crowd created, faded as if instantly evaporated by some unknown force. 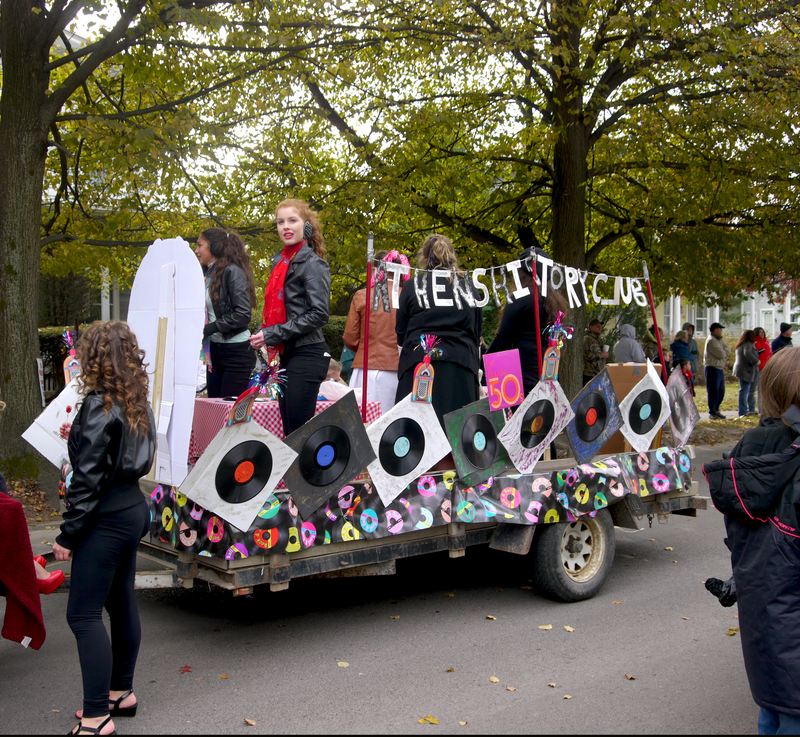 Although the parade was over, the stage was set for this coming Thursday, October 31st. Halloween night, when ghoulish pleasure will ignite the darkness with excitement and of course candy.